Cacique Royale, a charming luxury resort, is designed for dive enthusiasts on Grand Turk, the quaint capital island of the Turks & Caicos Islands. 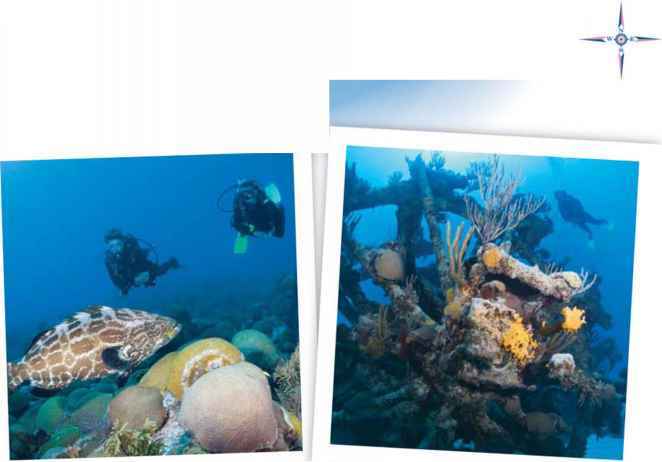 only the Great Barrier Reef rivals Grand Turk diving for diversity of sea life and variety of dive experiences. Cave, wall and wreck diving are all within a few minutes by boat or shore. octopi as well as hammerheads, reef, bull and whale sharks and — when the season is right — humpback whales. This new Caribbean hot spot has retained its pristine natural beauty with its rustic feel and quaint charm due primarily to carefully planned development by the TCI government to protect its waters for the benefit of divers and reef inhabitants alike. Located on Pirate's Bay, the resort will offer uninterrupted views from private balconies of studios and one-, two- and three-bedroom residences. In addition to a water-sports center, Cacique Royale will feature three swimming pools, a fitness center and spa, lighted tennis courts, a boutique and a full-service restaurant and bar. And take advantage of the recently announced Two-Year Neutral Cash Flow Offer: a novel, money-saving approach that guarantees a "no negative" cash flow from the condominium during the 24-month period from the date of purchase. Cacique Royale offers the unique experience of resort living at this diver's paradise where dive enthusiasts have access to oceanfront living at the door to the Caribbean's most spectacular reef. Founded in 1958 when Little Cayman Island boasted a population of just 12, the casually sophisticated Southern Cross Club Fish & Dive Resort is Little Cayman's oldest original resort, offering a top-rated, professional in-house diving and fishing operation. The club property has an untraditional layout featuring only a dozen spacious bungalows dappled over 900 feet of soft white sand. Each bungalow features gorgeous ocean views of Little Cayman's South Hole Sound and unhabited Owen Island. The gentle tropical trade winds will carry you to the Caribbean of your dreams. 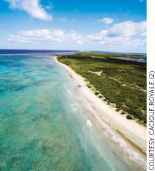 Little Cayman continues to be one of the least-developed, safest and most accessible tropical islands in the western hemi sphere. The lure of the island (population now 100) lies in the millions of varieties of fish and the proximity of its dramatic, warm-water wall diving and pristine natural barrier reefs. Bloody Bay Wall remains one of the healthiest accessible reef environments in the world and a Mecca for divers everywhere. Southern Cross Club's dedicated dive operation provides an ideal opportunity to explore the best Little Cayman has to offer on comfortable, uncrowded dive boats (12 divers per boat). The dive program is designed to comfortably serve both experienced and novice divers. Explore the reef on your own or join one of the professionally guided dives to visit the famous Bloody Bay Marine Park and M/V Captain Keith Tibbets. Two-tank morning, afternoon, dusk and night dives, as well as all the requisite PADI certifications, refresher courses, specialties and Discover Scuba Diving, are available. You haven't seen all that Grand Cayman diving has to offer — not unless you've done Grand Cayman with Divetech and Cobalt Coast Resort & Suites. Cobalt Coast Resort is located on the northwest shore of Boatswains Bay, north of the bustle of Seven Mile Beach — a stone's throw away from such Grand Cayman legends as North West Point Drop-off and Orange Canyon. Built in the style of a Caribbean great house, the owner-operated Cobalt Coast Resort offers 18 rooms ranging from one- and two-bedroom suites to detached villas. All packages are available with or without meal plans at Duppies Restaurant and Bar on-site. And Divetech, the full-service on-site dive operation, can plan the perfect scuba holiday for anyone from junior divers to hard-core technical divers. Unique and unusual opportunities abound — such as the "West Bay Express," a 70-min-ute underwater scooter ride that begins off the coast at Cobalt Coast and concludes at Divetech's Turtle Reef. Or you can achieve a personal first on your next Grand Cayman dive trip by trying the Rebreather Experience. Free diving, trimix — Divetech teaches it all. Even if you're not looking for training, their professional staff can show you all the wonders of Grand Cayman's legendary reefs and walls, plus complimentary shore diving at two of the islands best shore dive sites — Cobalt Coast and Turtle Reef. All of this comes with an operation that lets you use your dive computer (or theirs — free) to enjoy up to an hour of bottom time per dive.